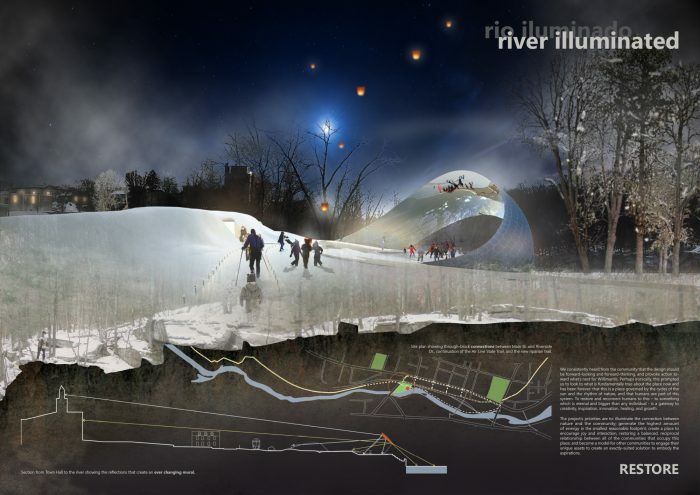 Rio Iluminado by Pirie Associates, Lindsay Suter, and Gar Waterman. 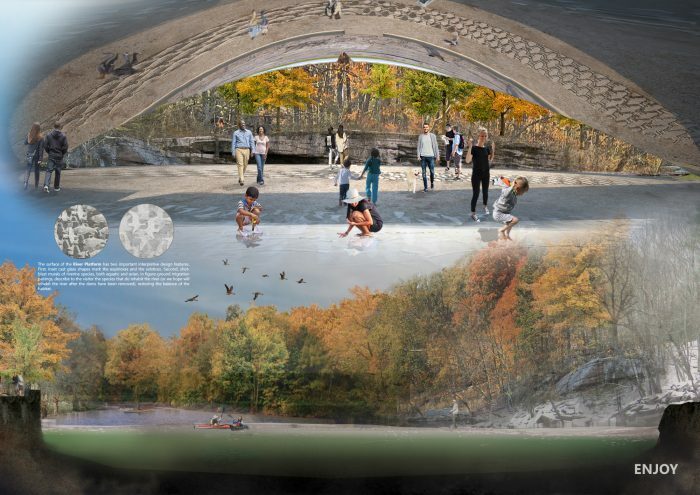 The winning team of the most recent LAGI design competition was presented with their award today at Connecticut Arts Day. The artwork, called Rio Iluminado, has won the design commission and the team will now further develop their solar-powered sculpture for implementation on the waterfront of downtown Willimantic. 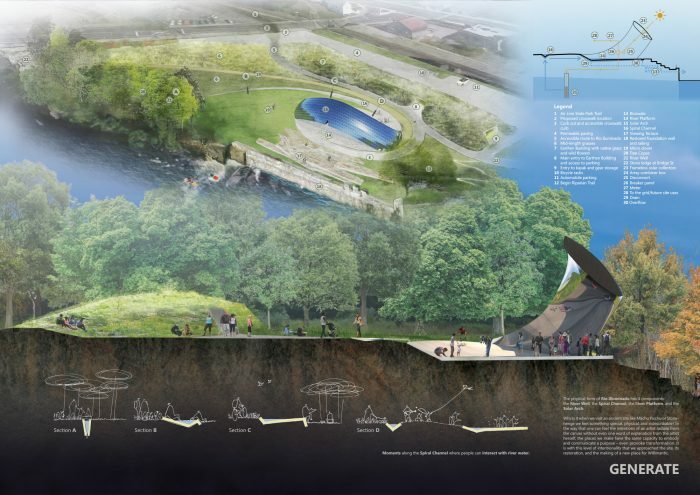 The Rio Iluminado team comprised of Pirie Associates Architects, architect Lindsay Suter and sculptor Gar Waterman designed the public art piece capable of generating 25.5 MWh of clean energy annually for a 3.4-acre remediated brownfield site owned by the Willimantic Whitewater Partnership (WWP). 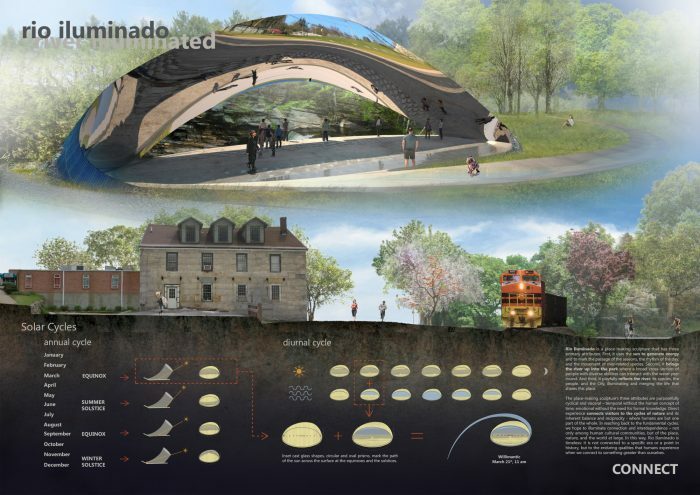 The Land Art Generator worked with WWP in partnership with the Institute for Sustainable Energy (ISE) at Eastern Connecticut State University, and the Connecticut Department of Economic and Community Development (DECD) Office of the Arts — with input from Willimantic community members— to stage the design competition for a power-producing centerpiece at a new whitewater park along the Willimantic River. A glimmering arch covered in a 900 sq. 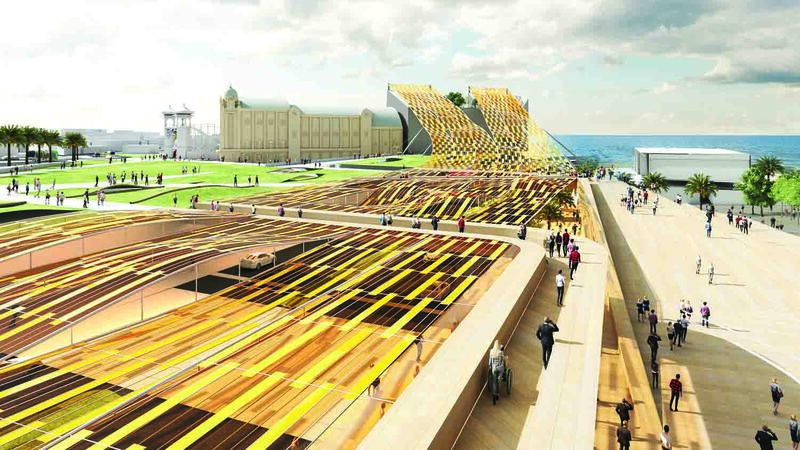 ft. solar array, Rio Iluminado will use the sun to generate energy and mark the passage of the seasons, the rhythm of the day and the movement of river-related species — all while reinforcing the community’s connection to the river. For Phase II of the project, the winning team will undertake a detailed design stage to develop Rio Iluminado for production. 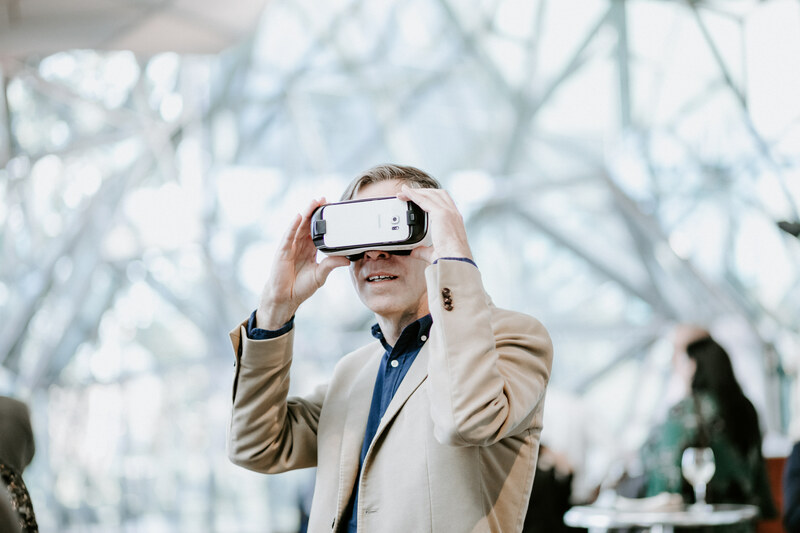 This will include providing detailed drawings for fabrication and installation, a quantity survey and cost estimate, production and installation schedules, along with an appropriate prototyping, test and commissioning plan. Phase III, which is expected to cost between $250,000 and $500,000, will see the fabrication, instruction and production of the artwork. “You’re creating a sense of space, you’re a creating this physical space that makes people feel further connected, and then you’re putting energy back on the grid,” says Kristina Newman-Scott, Director of Culture in the Office of the Arts & Historic Preservation, with the State of Connecticut’s Department of Economic and Community Development (DECD). Willimantic’s riverfront multi-use recreational site is expected to catalyze socioeconomic development for post- industrial Windham, into which the former city has been reincorporated. Energy Technical Specialist Jessica LeClair says ISE sees the project as a possible model that can be shared across the state. Jim Bellano, the Town of Windham Director for Economic Development, says LAGI Willimantic is consistent with the Town’s Plan of Conservation and Development. 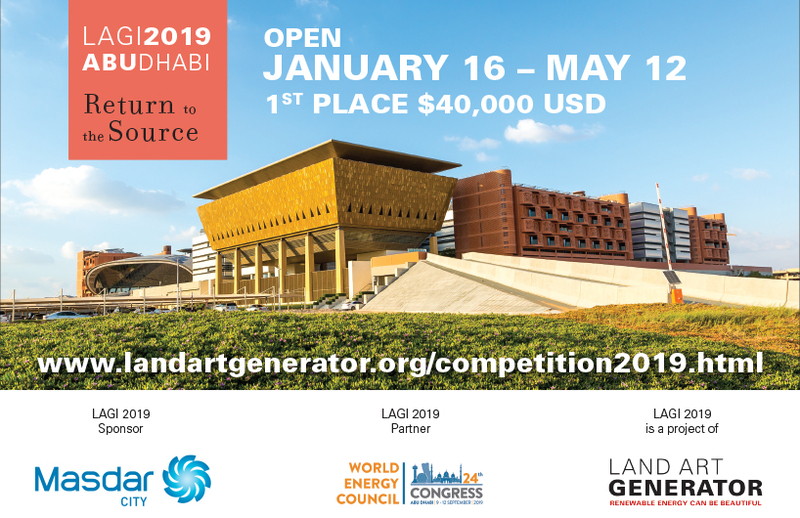 Consistent with their motto that Renewable Energy Can Be Beautiful, LAGI design competitions emphasize the cultural, educational, interactive, and playful value of public artworks that also contribute to global climate health. Turner says the community appreciated elements of all three designs. Eddy Line, a 35-foot vertical solar-powered sculpture designed by architects Höweler + Yoon and Gray Organischi, along with Push Studio and Nspiregreen, would have been capable of producing 94 MWh of clean energy each year. 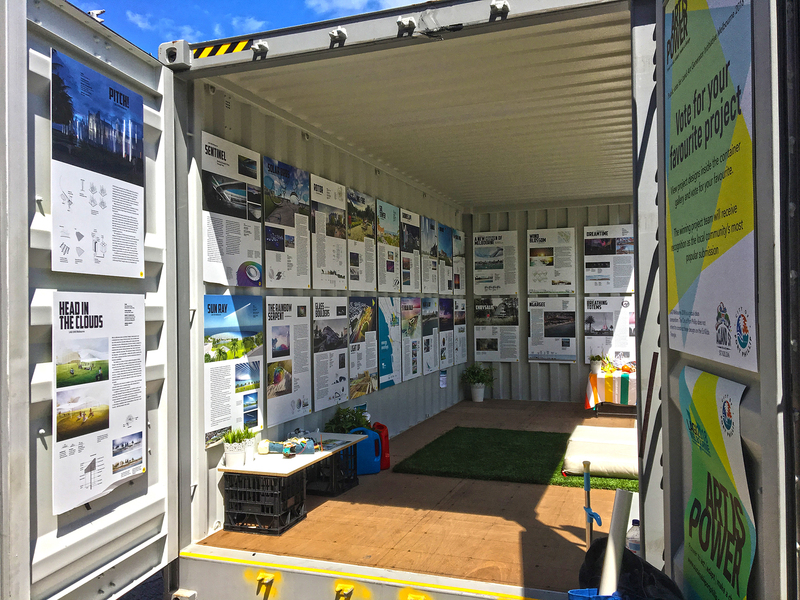 Solar Boombox, a solar-powered repurposed shipping container that plays music, has capacity to produce 6.7 MWh of clean power annually. That team includes landscape architects Claudia Dinep and Kristin Schwab, artist Ted Efremoff and green energy advisor Matt Macunas. Tafline Laylin is a freelance communicator and journalist who strives for global environmental and social justice. Her work has appeared in The Guardian, The Atlantic, OZY.com, and a variety of other international publications. Tafline Laylin is a freelance journalist and editor who divides her time between Africa, the Middle East and the United States. Since graduating with a B.A. from Northern Arizona University, she has traveled the world confronting topics at the intersection of environmental and social justice for a wide range of international publications, including The Guardian, The Atlantic, OZY, and the Ecologist. She is also the former news editor of Inhabitat.com, a popular green design blog, and former managing editor of Green Prophet, among the first environmental blogs to cover Middle East issues.